Klein Real Estate knows that you care how information about you is used and shared, and we appreciate your trust that we will do so carefully and sensibly. 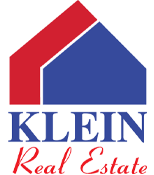 What Personal Information Does Klein Real Estate Gather? The information we learn from customers helps us personalize and continually improve your experience at VincennesRealty.com. Here are the types of information we gather. We receive and store any information you enter on our Web site or give us in any other way. You can choose not to provide certain information, but then you might not be able to take advantage of many of our features. We use the information that you provide for such purposes as responding to your requests, customizing future visits for you, improving our service, and communicating with you. We receive and store certain types of information whenever you interact with us. For example, like many Web sites, we may use "cookies," and we may obtain certain types of information when your Web browser accesses VincennesRealty.com. Scroll to the bottom of this page to see examples of the information we receive. A number of companies offer utilities designed to help you visit Web sites anonymously. Although we will not be able to provide you with a personalized experience at VincennesRealty.com if we cannot recognize you, we want you to be aware that these tools exist. Cookies are alphanumeric identifiers that we transfer to your computer's hard drive through your Web browser to enable our systems to recognize your browser and to provide features such as automatic login etc. The "help" portion of the toolbar on most browsers will tell you how to prevent your browser from accepting new cookies, how to have the browser notify you when you receive a new cookie, or how to disable cookies altogether. However, cookies allow you to take full advantage of some of VincennesRealty.com's coolest features, and we recommend that you leave them turned on. Does VincennesRealty.com Share the Information It Receives? Information about our customers is an important part of our business, and we are not in the business of selling it to others. We share customer information only with the subsidiaries VincennesRealty.com controls and as described below. We work closely with our affiliated businesses. In some cases, these businesses operate stores at VincennesRealty.com or sell offerings to you at VincennesRealty.com. In other cases, we provide services jointly with these businesses. You can tell when another business is involved in your transactions, and we share customer information related to those transactions with that business. As discussed above, you can always choose not to provide information, even though it might be needed to make full use of our services or to take advantage of such VincennesRealty.com features as Automatic login etc. When you update information, we usually keep a copy of the prior version for our records. If you do not want to receive e-mail or other mail from us, please contact us. If you choose to visit VincennesRealty.com , your visit and any dispute over privacy is subject to this Notice and our Conditions of Use, including limitations on damages, arbitration of disputes, and application of the law of Canada and Alberta. If you have any concern about privacy at VincennesRealty.com, please send us a thorough description to us, and we will try to resolve it. Rules and regulations regarding Real Estate Transactions change over time. This Notice and the Conditions of Use will change also, and use of information that we gather now is subject to the Privacy Notice in effect at the time of use. We may e-mail periodic reminders of our notices and conditions, unless you have instructed us not to, but you should check our Web site frequently to see recent changes. Examples of the information we collect and analyze include the Internet protocol (IP) address used to connect your computer to the Internet; login; e-mail address; password; computer and connection information such as browser type and version, operating system, and platform; purchase history; the full Uniform Resource Locators (URL) clickstream to, through, and from our Web site, including date and time cookie number and products you viewed or searched for.